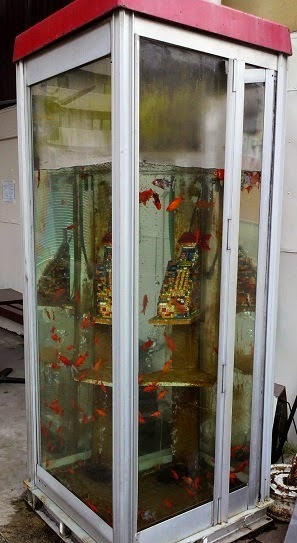 Watercolor Painting in Mahoroba Japan: Goldfish to a public telephone box ! Yamatokoriyama-city adjacent to I live is in Nara-city. If the Yanagimachi mall walk to the east about 5 minutes from Kintetsu Yamatokoriyama Station, you can see the rare sight. 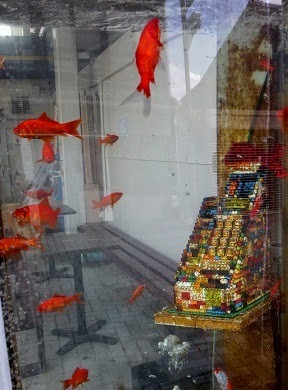 It is what is display in a state in which the dozens goldfish has entered the telephone box. 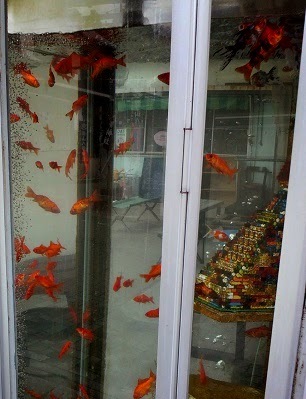 It is famous for its culture of goldfish Speaking Yamatokoriyama-city. 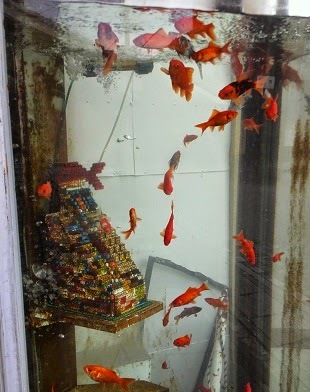 Every year is performed "National goldfish salvation Championship ", and I think many people you have seen on TV news. This is also , it seems that part of the event, but it is quite fun. Speaking of goldfish in Japan making it the tradition of summer, please enjoy this spectacle early pair.